At a meeting organized by a group called Action in Montgomery and held at JoAnn Leleck Elementary School at Broad Acres Tuesday, several survivors described what they went through on the day of the tragedy, and what they've been dealing with since. SILVER SPRING, Md. — Nearly two years after a deadly explosion blew through the Flower Branch Apartments in Silver Spring, survivors have asked for more help as they continue trying to put their shattered lives back together. The explosion and fire on Aug. 10, 2016, left 7 dead, dozens injured and dozens more displaced. The ceiling fell down on them, covering them with burned debris and glass. “My daughter and I could only see each other’s faces and the sky even though we were in the basement. We were covered up to our necks. We could not move,” she said in Spanish. Victoria Reyes said the injuries she suffered left her unable to work even though she wants to provide for her family, and that it has affected her mental health. Although she has been able to visit and get help from therapists, she knows other survivors who have not. In addition to improved access to mental health services, survivors who were relocated to other apartments want to prevent their rent from going up while they await the outcome of a combined lawsuit against Washington Gas and the apartment complex’s management company Kay Management. They also want Montgomery County to re-evaluate its response to the explosion with the views of affected families included. A previous evaluation was completed without talking to survivors. All four Montgomery County Council members who attended the meeting agreed to help with the requests. “[After the explosion] the county, especially our first responders, did a lot of things right, and I think the county did a lot of things wrong as well,” said Council member Tom Hucker. “We will be writing a letter to Kay Management, asking them to meet with the victims and their representatives,” Council member George Levinthal said. 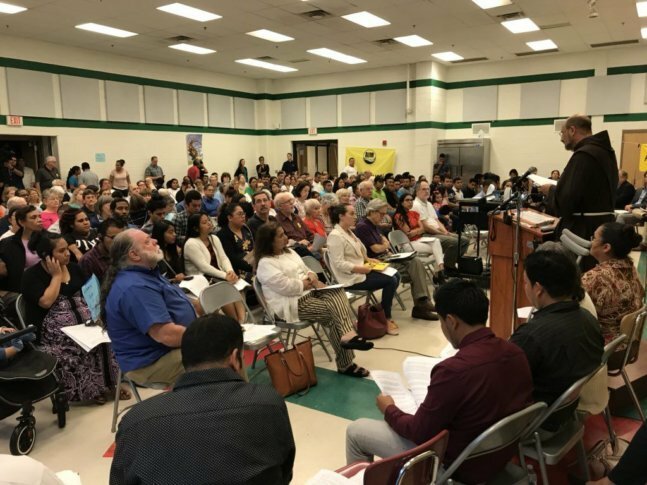 “I don’t know how you evaluate an emergency response without evaluating the people who the emergency response was provided for, so that’s something that we can certainly address,” said Councilmember and Democratic nominee for County Executive Marc Elrich. “Thank you for helping us understand that we have more work to do,” Council President Hans Riemer said.